Adorn yourself with the Adalbert Belt for the perfect touch of functional finery. 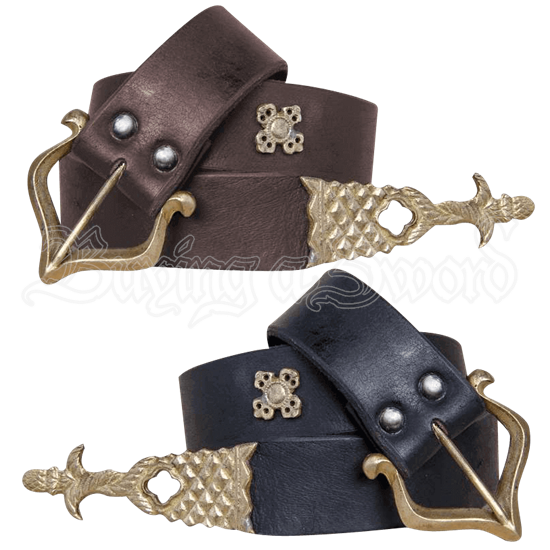 Made from thick leather, the details of the belt are cast in brass, lending this medieval accessory a distinguished charm and lovely goldish color. The length of the belt features six small but detailed brass applications, while the tip of the belt is rather ornate. Available in one size that fits most, this belt is available in multiple colors. 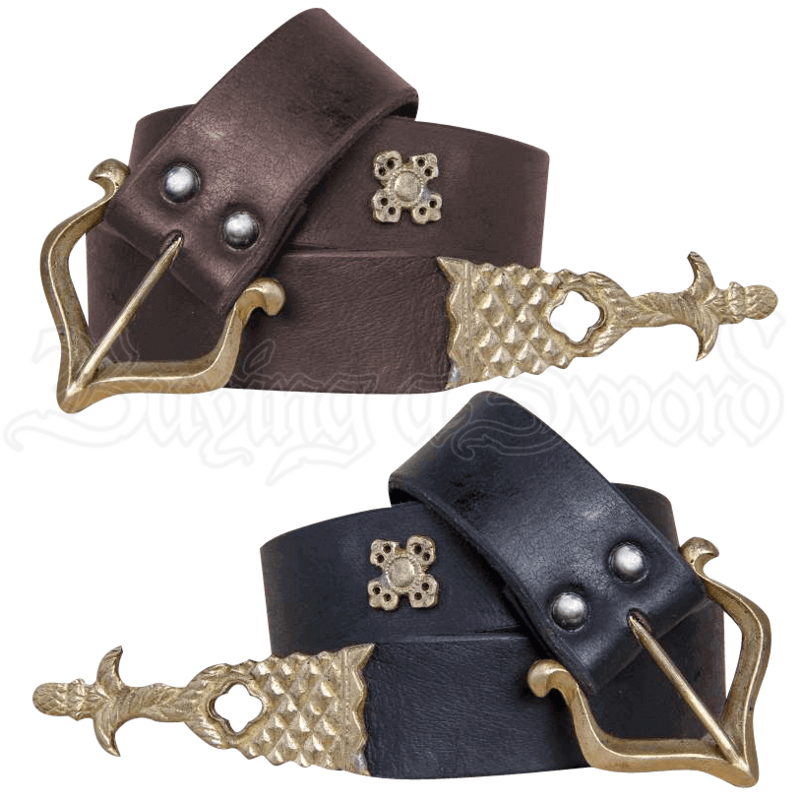 The Adalbert Belt makes a great accessory to wear at any Renaissance festival or for embellishing outfits used for a variety of historical reenactments.